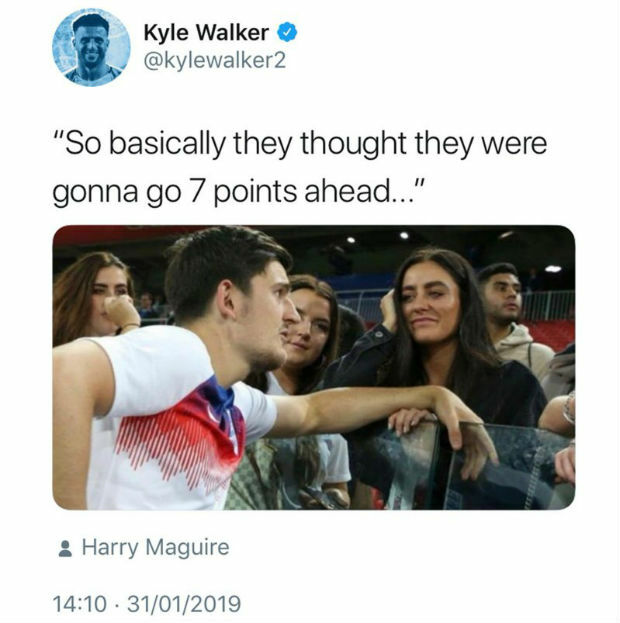 Manchester City star man Kyle Walker deleted his Harry Maguire-themed social media post mocking the draw of Liverpool against Leicester City. And now, the Liverpool manager Jurgen Klopp strongly criticizes his unexpected move and said he cannot understand a professional footballer celebrating the point-loss of his rival. Manchester City and Kyle Walker seem extremely thankful to the Leicester City man Harry Maguire as he scored a brilliant goal for the Foxes to end the Anfield game in a 1-1 draw. And with that draw, Liverpool failed to open the seven-point gap in the Premier League table. And to mock that draw, Kyle Walker used the celebratory picture of Maguire to criticize Liverpool.